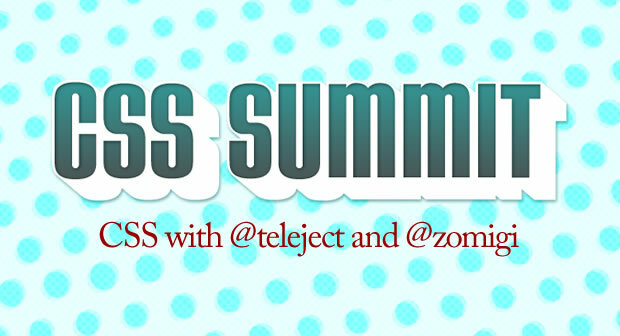 Episode 16: CSS with @teleject and @zomigi - The ATX Web Show! Today we’ve got a mini-episode, or “minisode” if you will, with Christopher Schmitt (@teleject) and Zoe Gillenwater (@zomigi) who are both authors of books on CSS. Christopher is helping host CSS Summit on July 28th, 2010, an online conference based here in Austin, with an impressive lineup of speakers, including Zoe herself. A really great episode with what I found to be a really nice impromptu discussion on CSS3 performance. Have a listen and buy their books!